Our rowing camps are geared to Masters rowers who want to improve their technique and learn how to use modern rowing data tools to improve their rowing. 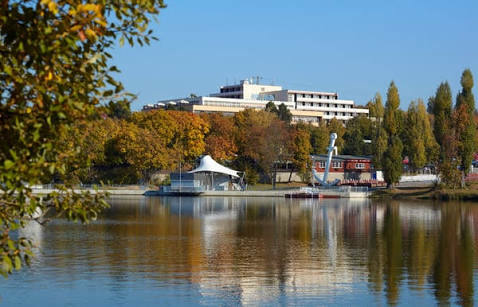 We are located in the heart of Europe, in Brno, Czech Republic, and are able to offer a combination of world class coaches, a lake suited extremely well for rowing, accommodation in great wellness hotels at walking distance from the boat house, in a vibrant town located close to tourist destinations Prague, Vienna and Budapest. U23 World Champion (LW 1x) and World Cup winner (LW 1x). 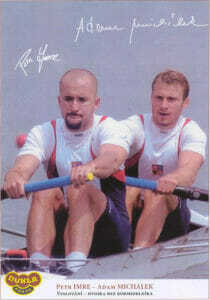 Certified rowing trainer (US, Canadian level 2, Czech level B). Certified Crossfit trainer. Coach at Craftsbury Sculling Center since 2006. Rowing entrepreneur. Daniela represents Concept2, Nielsen Kellerman and Wintech in the Czech Republic. Has competed at the Atlanta and Athens Olympics. Certified rowing trainer (highest Czech level A). 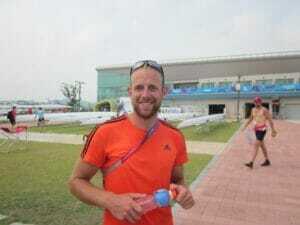 Adam works as a full-time trainer at the CVK Brno rowing club. He also trains Czech national teams (winning silver with his LW 4x at the U23 European Championships in 2018). Among the athletes trained by Adam, you find World Champions (Junior), World Cup finalists (Elite) and European Championship medalists. Certified rowing trainer (Czech level B). As a rower, he has represented the Czech Republic at the Universiade in Korea. Entrepeneur and successful Masters sculler with wins at Euromasters in 2016 and 2018 and WRMR in 2017. 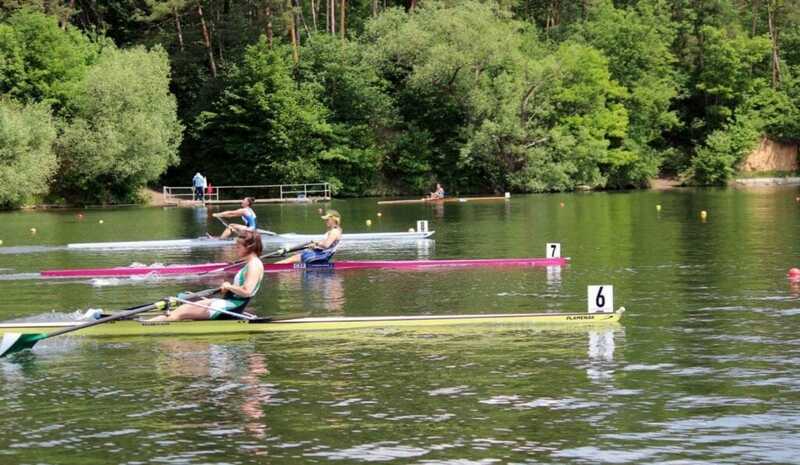 Romana has multiple years experience in organizing sculling camps in Brno. She is a certified rowing trainer (Czech level C). Successful Masters sculler with wins at Euromasters in 2016 and 2018 and WRMR in 2017. Founder of the top rowing data analytics site Rowsandall.com. One of the few rowing data experts in the world. The Brno Dam (known as “Prýgl” in the local dialect) offers a 3 kilometer long lake that is ideal both for technique practice. The usual water condition is flat, with occasional light chop thrown in for variation. Winds speeds in summer are usually very mild. 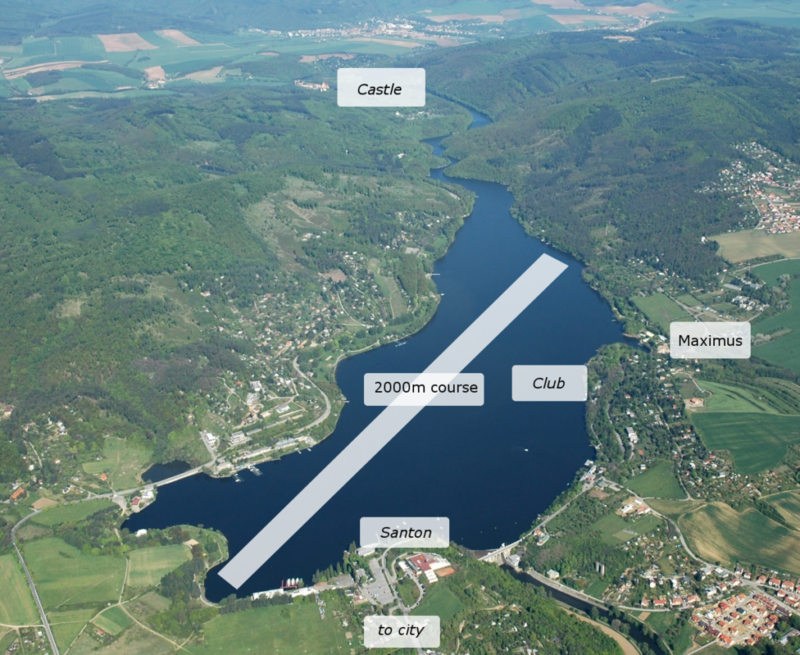 Our camps are hosted at CVK Brno rowing club, the top rowing club in Brno and in the top 5 of the Czech Republic. The beautifully located boat house is home to many Czech National Team members in both the Juniors, U23 and Elite categories. 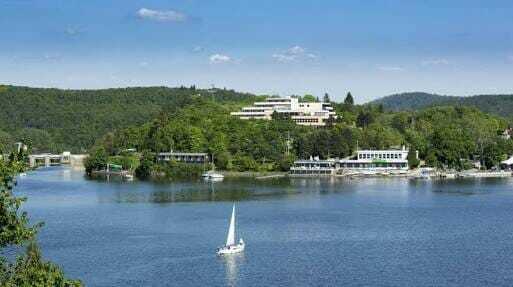 Often, we host training camps for the Czech national team preparing for big regattas. 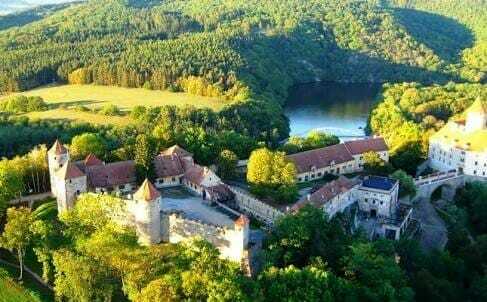 At the north end of the lake, the river Svratka flows through a beautiful gorge, and there is the possibility to extend the row by 6 more kilometers, passing by a medieval castle. Watch some videos of our rowing water here. The hills and forests around the lake are ideal for clearing the mind. Numerous, well marked hiking trails are available, and a nice view from a hill top is always just a short, easy hike away. At the south end of the lake, there are hotels and numerous restaurants. Here, tram lines 1 and 3 connect you to the Brno city center in about 20 minutes. 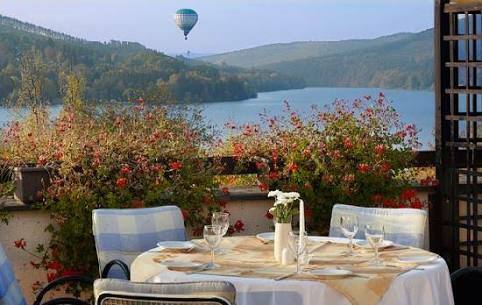 The Santon Resort Hotel is located at this end of the lake. The Maximus Resort Hotel is located close to the rowing club. Indulgence, informality, openness, and honesty. A centre you can walk through in two hours… or at least you could, if every corner didn’t draw your attention with cafes, pubs, bistros, bars, wine bars, and many local people who welcome you into the swirling life of the city. And while you’re standing over a draught beer right near St. James’ Church in the very heart of the city in a lively debate with locals, time and your other plans lose all importance. 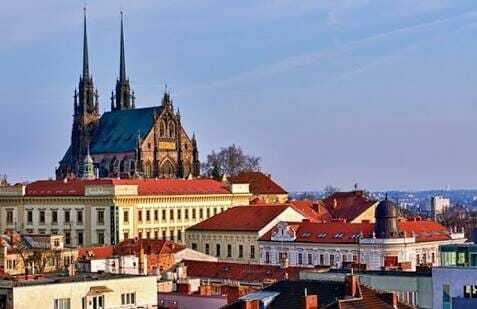 According to the New York Times, Brno is one of the top 27 places to go to. The Guardian places the city in the top 10 alternative city breaks. The Prygl team has chosen Brno for its unique atmosphere of a technology hub, a vibrant student community, pittoresque historic center, as well as its world class rowing facilities. The continental climate guarantees warm, low wind weather from April to October. The nearby South Moravian wine region is an ideal excursion, combining wine tasting and excellent food with a view on medieval castles. What more do you need for a relaxing evening after a day of rowing. Visit our shop to check the available rowing camps. Feel free to ask questions using the chat box on this page or by email to support@pryglrowing.com.